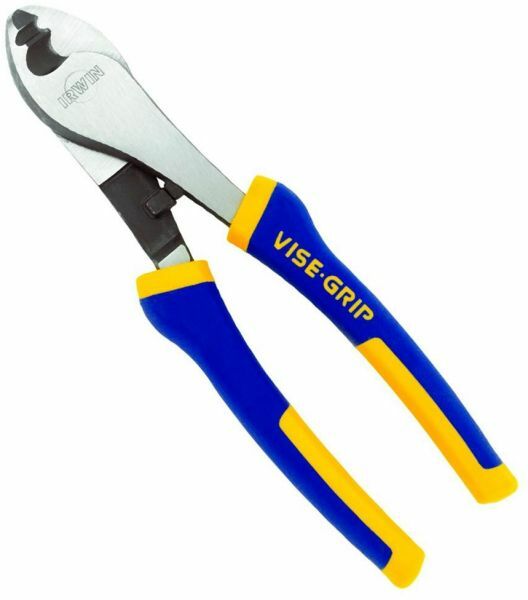 Irwin Vise-Grip copper and aluminum visegrip cable cutter 200m have a induction hardened cutting face and are made from chromium nickel steel for improved durability on the gripping and cutting face. Molded one component handle. Can cut up to 5.0 mm diameter thickness cables.